We are always happy to attend to any of our client's requests. If you have just bought a land and need to start your project from the beginning, please contact us and we will talk you through the steps of this process. Can i build an extension if it doesn’t share a wall with the neighbour without a party wall agreement? 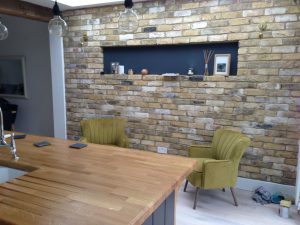 Can i open a space in my home without needed party wall? These and many other questions arise when considering doing work to your properties. We can help you with the notices to your neighbours, advise about the timings, provide drawings for the agreement and even meet the neighbours to explain the works if needed. Whether you are doing just interior work to your house, through to replacing windows to extensions in the original fabric of the building you will probably need Building Regulations certificate in most cases. We can prepare all the documentation you need, help select the most suitable Building Control company (private or council) and deal with any requests and queries the officer might have.